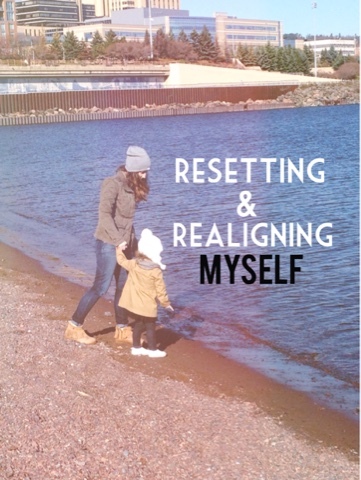 Sometimes I find myself slipping away from my goals and needing to reset. Or even worse, I don't have any active goals that I'm working towards. I sometimes just realize things are out of alignment and want to get them back on track. I've been eating like crap lately. Between Halloween candy and the desire for convenience, I have not been focusing on proper nutrition. Instead of warming up leftover chicken and rice, I have been reaching for the chip bag. This isn't getting me any closer to my health nor my body goals. Time to start being more disciplined with tracking macros! I started to realize I had my phone in hand way too often. I first changed my settings to remove all push notifications from my apps, but that just meant I went in and checked more often. So I decided to delete my facebook app. It was little use to me. I can still go on on my computer, but I'll obviously go on a lot less. Yeah, I'm still working on this. Between leaving work at 5:00 every day and daylight getting shorter, it made me feel like I had no time at the end of the day. I do now have different and more flexible hours, about 10 hours less per week, which will help. I still can't do anything about the short daylight hours, but I need to work on stalling less. No more putzing around with things that don't matter. Enjoying fun things with our daughter. We went to the library, the children's museum, hiking, outside play, did puzzles, painted, etc. last week and that wasn't even close enough to keeping her entertained for the week. I need to start implementing more creative play and organized activities to keep her occupied. Cue me following all the kids activity blogs that I used to hate. Follow through with my lists. When I make a list of things I need to do or things I need to buy, I just need to do it. This kind of piggy backs off of time; I shouldn't stall. I did this today, and the other day and it felt great. I like to go on trail runs and it's the perfect time to collect my thoughts and recharge. It's amazing how great my mood is when I get this alone time. I'm so happy and giggly right now because I got an hour completely to myself outside of my home, away from people. That is all it takes! What do you do to realign yourself? Do you take breaks from social media? Do you meditate? Take a trip?